The Lindbergh Baby Kidnapping: The Right Man? Charles Lindbergh crossed the Atlantic Ocean in a plane. If only he could have piloted the safe return of his young son. 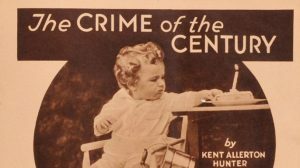 The tragic story of “Lindbergh’s baby” made international headlines, and led to the “trial of the century,” resulting in a conviction and execution of the alleged kidnapper, though the convict maintained his innocence throughout. The case involved 20-month-old Charles Lindbergh Jr., the son of famed aviator Charles Lindbergh and his wife, Anne. In the evening of March 1, 1932, little Charles was reportedly abducted from his crib at home in New Jersey just after being put to bed by the Lindbergh family nanny, Betty Gow. In the days following, several ransom notes were sent to the Lindbergh, each with different ransom demands and different conditions for the ransom to be delivered. Finally, Lindbergh asked a family doctor and friend to meet with the man believed to be the kidnapper for an exchange of money in return for information of the location of the toddler. The toddler was said to be on a boat called the Nelly, though the boat was not found – even by Lindbergh himself, who flew up and down the Eastern seaboard in his personal plane. Finally, a motorist pulled over to urinate in a patch of woods near the Lindbergh home and found the remains of a small child, decomposing and missing organs. Officials later determined that it was indeed Charles Jr., and that he had been dead as much as two months – long before the last of eight ransom notes was delivered to the Lindberghs. It wasn’t until two years later, in September 1934, that a man was arrested and charged with the kidnapping and murder of Junior Lindbergh – a German immigrant named Richard Hauptmann, who was found by a license plate number written on the back of a dollar bill that was among those used as the ransom money (the police had tracked the serial numbers of the bills). Several of the bills were used along a certain subway route in New York City that went through the German-Austrian neighborhood of Yorkville in the Bronx. An investigation of Hauptmann’s home revealed about $14,000 in ransom cash in his garage, the phone number of the Lindbergh family doctor written into a door jamb, and some wood floor panels missing that were consistent with the wood used to make the makeshift ladder that the kidnapper used to climb through the baby’s window at the Lindbergh home. During the trial, the prosecution hammered the circumstantial evidence against Hauptmann, though there was no physical connection between Hauptmann, the baby and the crime scene (no fingerprints were found on the window, the crib, or the child himself). Meanwhile, Hauptmann’s defense was that he only discovered the money was left behind by a friend, Isidor Fisch, who had returned to Germany in late 1933 and died a few months later. However, cross-examination revealed that there was no record of the box being where Hauptmann claimed it was, and no record of a $7,500 business debt that Fisch supposedly owed Hauptmann, which the latter claimed as justification for about $40,000 cash being left behind by Fisch and claimed by Haptmann as debt repayment. With Fisch dead, and the defense able to discredit several witnesses who claimed Fisch was near the Lindbergh house prior to the child’s disappearance, the circumstantial evidence against Hauptmann proved to be overwhelming, and he ws convicted of murder and kidnapping in 1935 and executed by electric chair in April 1936. He insisted he was innocent, even turning down a commutation of his sentence to life in prison in exchange for a confession. Next Next post: The Sodder Children: Fire Or Mafia Statement?